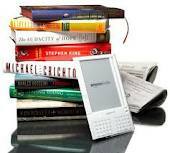 It’s not so much whether or not eReaders are good or bad as it is a change in the way people are reading. When primitive man evolved from drawing pictures on cave walls to words on papyrus, people welcomed the change. If nothing else, it was easier than lugging stone tablets around. It made the written word available to more people. 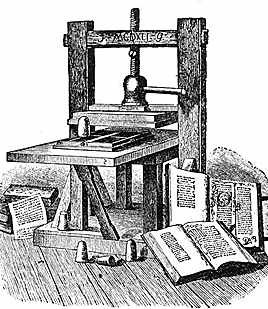 The invention of the Gutenberg press around 1440 made the written word available to the masses. Monks no longer had to copy tomes word for word. And not since that time has there been a bigger boon to reading than the invention of eBooks. Because of eBooks, people are now reading more than ever before. This is a good thing. A good book isn’t about the binding, interior design, the spline or any other attribute of the book as long as the words can be read. It’s all about the words. You may have hundreds of print books in the house, from the classics to the latest releases. They all will not fit in the palm of your hand. Unlike a print book, an eReader can enlarge the font size to aid aging eyes. eBooks offer another alternative–price to value. Some school districts are now issuing iPads to students to save on the enormous costs of text books. Hold Your Library in One Hand. Authors can now make their words available to more than a billion potential readers in over 100 countries in eBook form. It has served them well. eReaders are merely another step in the evolution of how people read. Print books will be around for a very long time, but possibly not forever. The words will not change, but how we read them will. This entry was posted in Uncategorized on December 5, 2011 by First Edition Design Publishing.